It’s June! Hooray, summer is on it’s way in the UK – At least I hope we get some summer weather here… it doesn’t always happen! 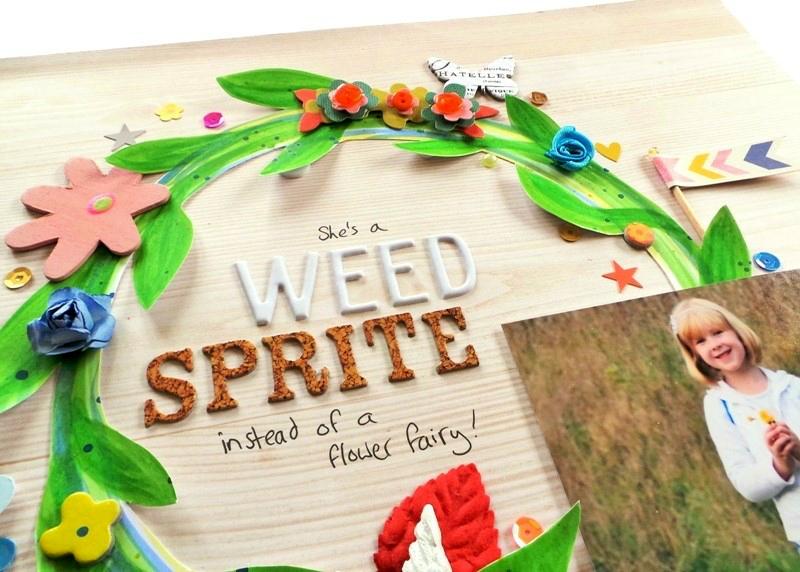 She’s a ‘Weed Sprite’ instead of a flower fairy! My daughter doesn’t discriminate on which flowers she thinks are pretty. She particularly likes dandelions because of how they change into ‘wish flowers’ – I just found a time lapse video of the change HERE which I’m going to have to show her! This layout is inspired by several things. 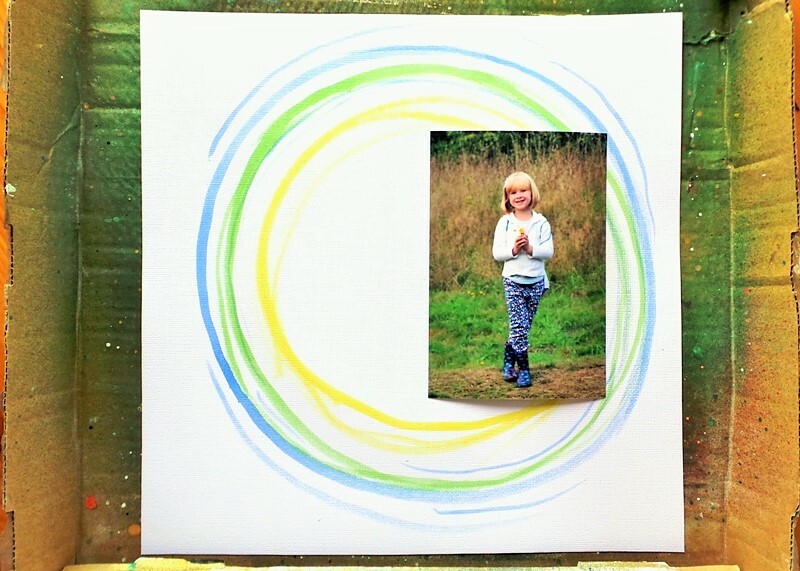 First I enjoyed making my Focus Canvas HERE and when I was making it I thought a messy circle would be a great place to have a title inside for a layout… then K did just that in her ‘Cosy’ layout on THIS POST, and Claire at Creative Makings also used a messy circle to house a sentiment on a card – both inspired by my canvas. I also liked making the wreath tag on my ‘Art In Miniature’ post HERE, as I thought the wreath looked nice and summery and reminded me of flower crowns like THIS ONE which I’ve been dying to try out. 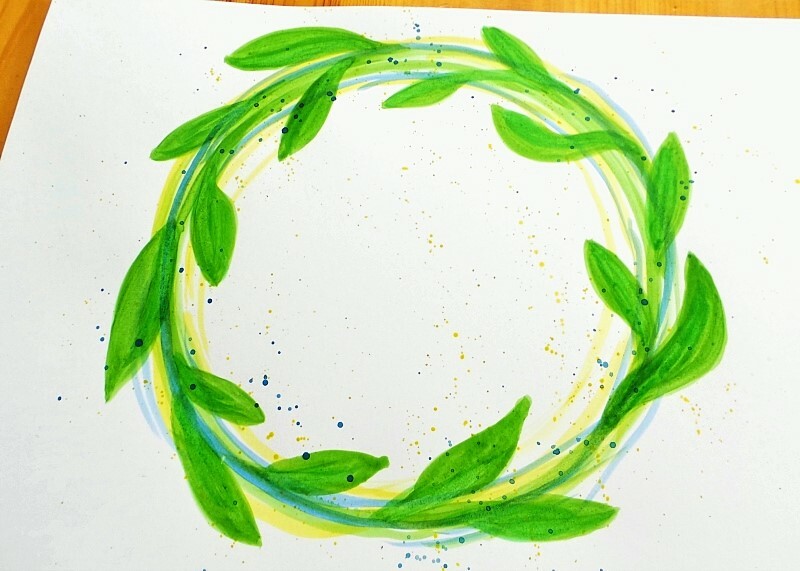 So I had all these many things in my mind when I decided to make a summer watercolour wreath layout! Which did look kind of pretty, but I realised it was too spread out to look like a wreath, and it filled up too much of the page, as I wanted the title to be inside the wreath but the journaling and other embellishments to be outside it. Then I just embellished to my heart’s content! Make sure you print it on card if you want to pop up the leaves for some dimension! What do you think of my summer wreath? Is it summer where you live? If not you could always add different colours of flowers to make it a spring or winter wreath… maybe not autumn though, that would need some brown and orange leaves! Thanks so much for mentioning me in your post too, I’m so glad you have shown us your process to make your messy circles. I sometimes think I’m the only one that has many many attempts before actually getting it right before it’s acceptable to blog about. Your layout is so fresh and bright, and I love the way you use embellishments, they never look cluttered. This is such a lovely project, a lovely photo too. Love the other bits you have added to. 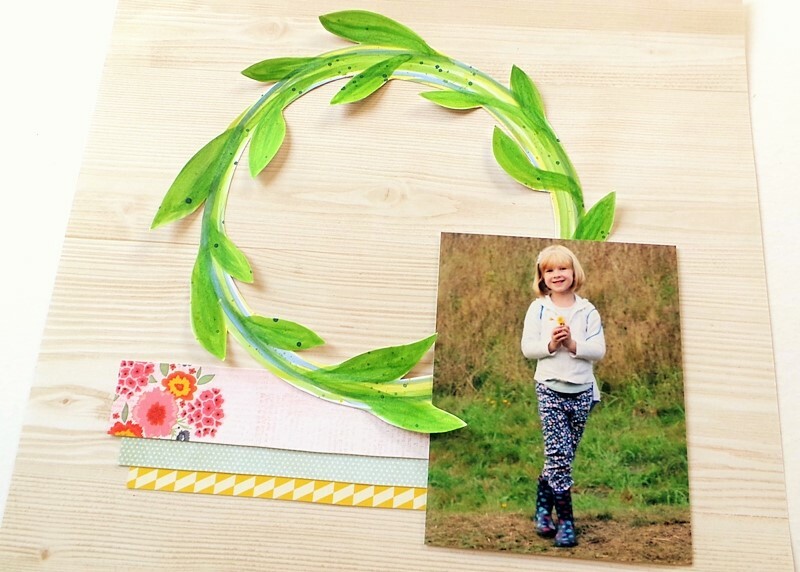 Love how you built up the wreath….and a lovely completed page. and it turned out lovely….looks very good. Mind you, I absolutely love the basic rings you show on the first stage picture! Stinkin’ adorable page! Beautifully done! Another lovely page Jennifer. I really enjoy the way you layer all around your photo.